Tips for Finding Cheap Flights Online. 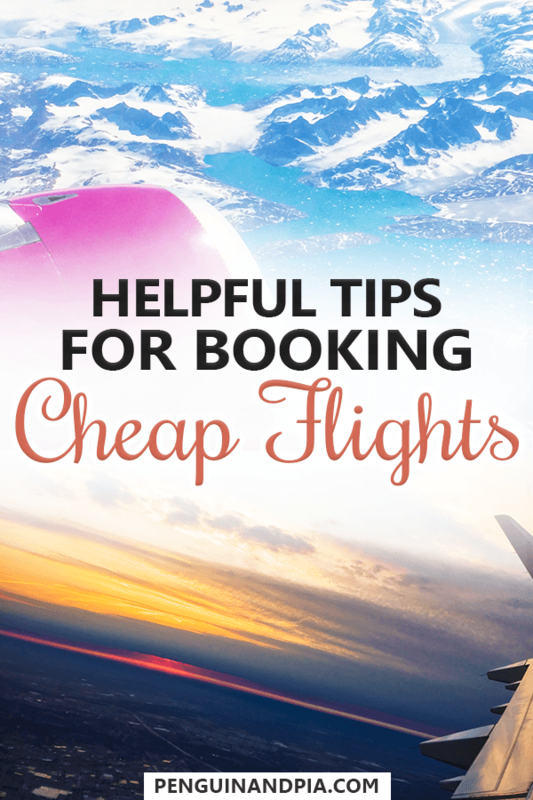 Booking flights can be really exciting – usually it means you’re travelling which is always great. Often times though, the prices can shock you into not booking your dream vacation. Never fear! We’ve written down all our best tips for finding the cheapest airfares in the industry. We have personally used (or currently use) all these methods so feel free to try them out and let us know what kind of deals you can come up with! Ready? Let’s get booking! This one is fairly well-known, but from experience it DOES make a difference. If you look for flight fares one day and return another day to search or potentially book – airlines know that you’ve visited before and can jack up the price knowing your intention to buy. If you’re searching the web with Google Chrome, go to the top right corner, click the three vertical dots, and select “New Incognito Window”. If you’re using FireFox, go top right, click the three stacked lines, and choose “New Private Window”. Most people have a preferred flight search tool – we both like Google Flights, and Lisa also likes Swoodoo. Checking between the different platforms can often provide you with better insights into flight combinations and prices – for the same exact flights. 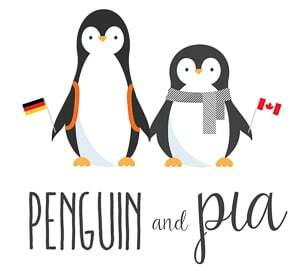 Here’s a short list of the places to check: Google Flights, Skyscanner, Kayak, Hipmunk (an app only), Momondo, Swoodoo (if you’re German), and then things like Priceline.com, and other flight search engines. All these platforms have different advantages and features so play around with them all. You’ll quickly determine the one(s) you like best! If you’re just starting to browse for your flights and don’t have an exact date in mind, try clicking “flexible dates” or “+/- 2 days”. Even if you change the calendar by only a few days, you might stumble upon a date combination for your trip that lands you a few hundred dollars in savings. On Skyscanner and Momondo, they make the flexible search option super easy. Sometimes you can get cheap airfare simply by booking cheaper airlines. “Budget” carriers like WOWair, Ryanair, EasyJet, and many others have cheap fares to get from one country to another. However, the costs really add up when you start to add on additional expenses like checked baggage, seat selection, meals, etc. If you travel like us (carry-on baggage only) then you won’t rack up as many extra costs and this may be a way to fly! Often times, airlines send you deals in their monthly newsletter. Sometimes, they even send a whole new newsletter just to promote their ongoing deals. Sign up for airlines you like or frequently travel on to be the first to hear about the deals they have going on. 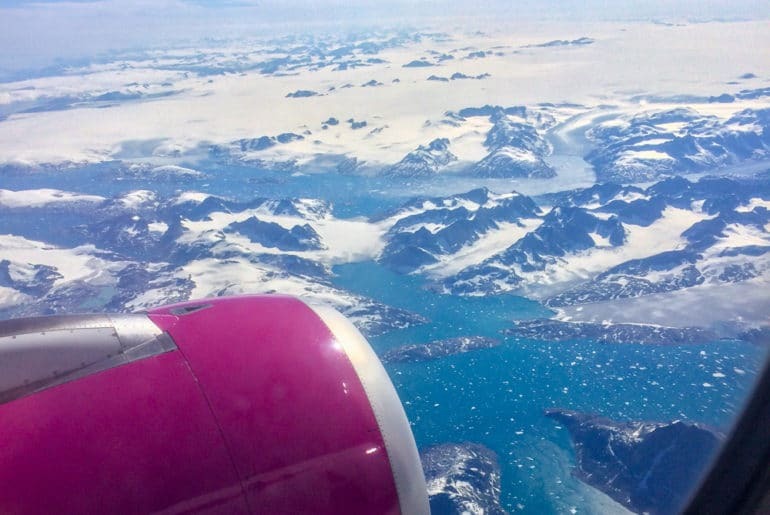 For example, WOWair broke the news about their “Purple Friday Sales” before Black Friday and people are now booking their flights to Europe for $150 CAD. That’s pretty good! There are quite a few websites dedicated to finding and sharing the latest tips and deals on flights. Of note, we use Secret Flying, and we also like Holiday Pirates, etc. A few weeks ago (Fall, 2017) we found round-trip flights from Toronto to Taiwan for $580 CAD on Secret Flying and we almost booked them that second. We’re not even kidding. $580 RETURN to Asia? Sometimes Eric can’t even fly direct to Europe ONE WAY for under $600…. just saying. Are you going to Europe between April and September? Sure you are, and so is the rest of North America! If you do travel during that time, book in advance. For example, if you’re booking a flight to Europe for June – don’t wait until May to book it. You’re going to have to fork over a few hundred more than you would if you had booked a few months (like, February?) in advance. If you’re a student, you might be in luck. For example, SAS (Scandinavian Airlines) has a student ticket which means that for up to one week before departure, students pay the cheapest fare. Normal travellers at that time have to pay a much higher price. Lisa booked a SAS Youth Ticket that was one quarter the price that a normal ticket would have been at that time. If you’re travelling farther, see if you can piece the trip together from two or three airlines, all booked at separate times. This would be in comparison to booking a flight there and back with only one airline. Sometimes, a little patch work to go from Toronto-London-Dubai on flights booked separately can be cheaper than just booking Air Canada the whole way there and the whole way back. That’s just an example – feel free to mix and match airlines and destinations. Some search engines already help you with that “patchwork booking” – you can check out Swoodoo. For this method, just be sure to watch your layovers and connection times. Cheap fares are great only if you can actually complete your journey. Another example of this is Kayak. They present you with “hacker fare” options when you search flights – meaning they will piece together a return trip with two different airlines to offer you the best price combination to fit your dates and destinations. The pro: You get cheaper flights. The con: You have to go and book the flights separately on their respective websites. If you’ve ever done this, it can be STRESSFUL. Eric once booked a Kayak Hacker Fare – he paid for the first flight to Europe, and then booked a separate airline home. The time between booking the two flights was about 5 minutes since he had everything ready to go – but MAN was it nerve-wracking. What if the second flight filled up or sold out? That’s for you to gamble on when you play flight booking roulette. 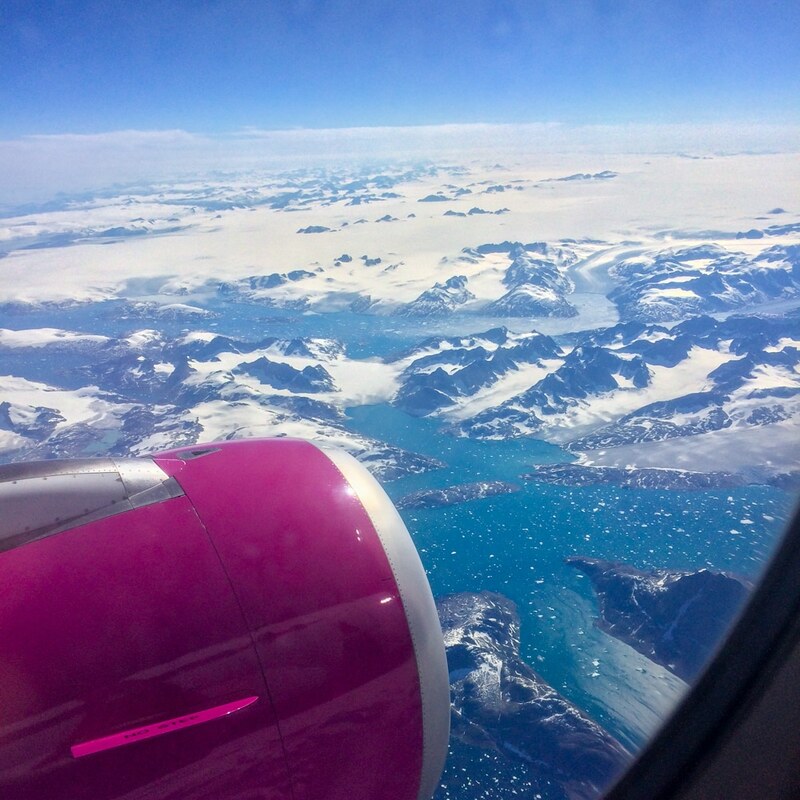 Speaking of Europe: If you’re looking to fly from North America to Europe and want to get more out of your travels – read about booking a stopover fight to Europe. There you have it! All the tips and tricks we know of for booking the cheapest flights possible. Did we miss any that you do regularly? Please SHARE your knowledge in the comments below! We’d love to discuss! When you ‘patchwork’ the flights, you need to keep at least 2 hours between the flights. Think of late arrival which can make you miss the following flight. The company responsible for the late arrival will not be responsible for your rerouting though. That’s great advice, Dan! It’s good to have a minimum timeline set out – and that doesn’t account for the fact that if you’re unfamiliar with the airport – perhaps book yourself even MORE of a gap!